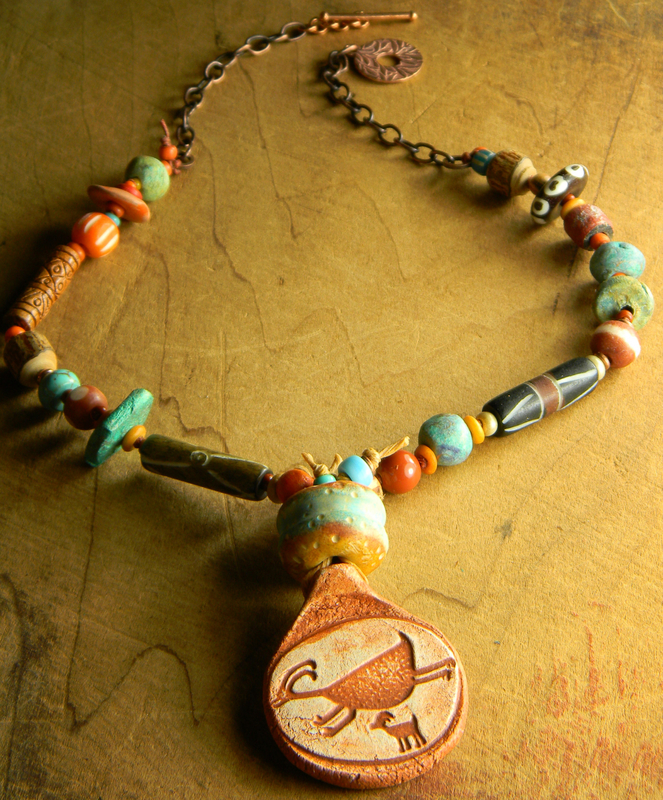 A rustic clay pendant with a mountain goat and kidd is the focal piece of this colorful summer necklace design. 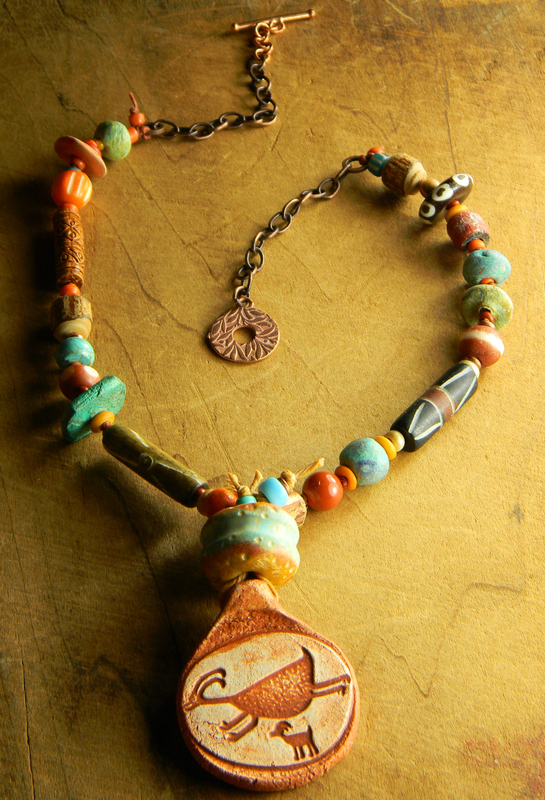 I wanted to keep the beautifully primitive style of the pendant art in the accompanying beads, so I began with one of my own handmade polymer clay beads above the pendant, and added a variety of turquoise, ceramic, wood and lots of carved and batik bone beads for a luscious mix of textures and color. All knotted on waxed Irish linen cord to the back portion, where the beads are linked to antiqued copper chain, and a solid copper toggle clasp. 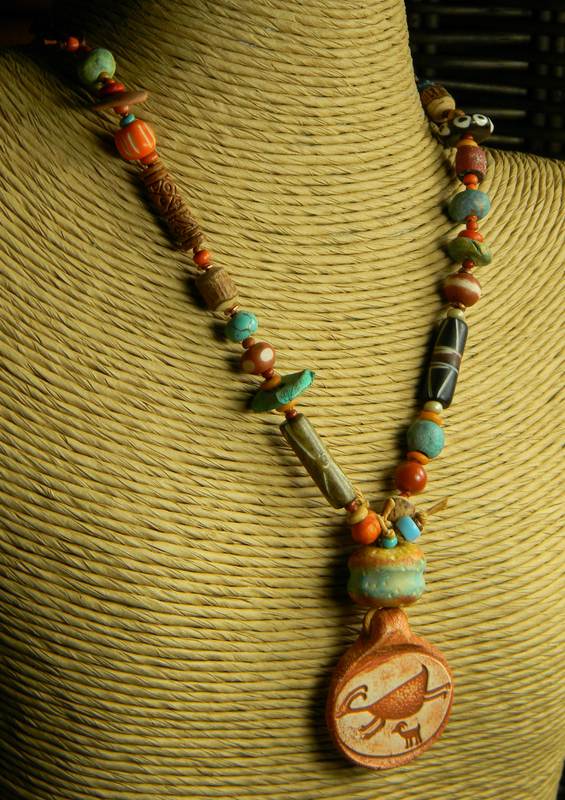 The length of the necklace 16 inches, plus a 2 inch pendant drop. It is possible to extend the length to 18 inches if you let me know in advance of ordering. Shipping cost $3.50 for the first item, and .50 for each additional item in the US. Your package will arrive beautifully gift wrapped in rustic and environmentally friendly materials.